Stephanie Hutton, AUP Class of 2014 at Penn State University, reflects on her week at a small boat station and the rest of summer 2012 spent as an intern public affairs officer. Pictured Left: Ms. Hutton at the helm of the 25' RIB (Rigid Inflatable Boat) boat to practice boat handling. At the end of my Penn State spring semester, I thought I was going into a typical summer break, but it was far from anything I imagined. I enrolled in the Auxiliary University Programs (AUP) and was instantly given a vast amount of opportunity to train and learn what the program has to offer students. I started off my summer with a fast paced week of operations training at small boat Station Milford Haven, Hudgins, Virginia. The week consisted of training in open water survival, search and rescue procedures, underway patrols, and so much more. Given this opportunity to learn first hand from the active duty Coast Guardsmen, I feel this week has made me a better person, prepared me for the future, and offered a whole new perspective on the Coast Guard and the role it plays in protecting the country. The majority of my summer was spent working as an intern public affairs officer on the AUP staff. It was my job to publicize and publish the AUP cadets’ work during the summer months, including internships, training, patrols, site visits, or anything else they may have taken an active part in. It was great being able to see what all the other cadets were doing as well as having the ability to post about them on Facebook and the AUP webpage. This internship also gave me the opportunity to broaden my knowledge; being a Biobehavioral Health major, I had very little experience in public affairs. 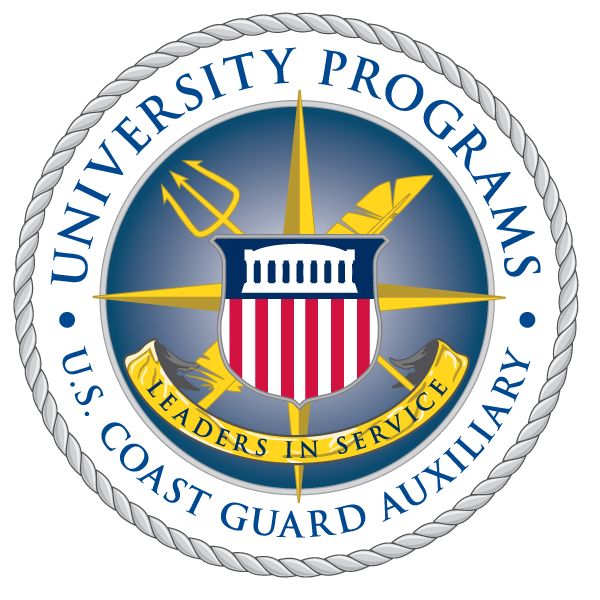 I am now ending my summer with a better understanding of public affairs and the key role it plays in delivering the Semper Paratus message. Pictured Right: Ms. Hutton working on knot tying skills during OPS Week. Knowledge of several knots is needed to obtain boat crew qualification. I was given the opportunity to meet and work with several key people including the editors of the “Navigator” and “Reservist” magazines. They offered advice and assistance with my publications on the AUP Website. I worked with the public affairs officer for the Coast Guard’s official Facebook page who offered guidance on enhancing the AUP web presence. The most memorable person I met was the Master Chief Petty Officer of the Coast Guard Reserve, Mark Allen. Several interns and I had the privilege to meet with him to discuss our internships, and to learn more about what he does for the Coast Guard Reserve. It has been a packed summer full of experiences I could not have gotten anywhere else but through AUP. Pictured Right: Ms. Hutton completing surface swimmer qualifications during OPS Week. Copyright ©2000-2011 United States Coast Guard. All Rights Reserved.